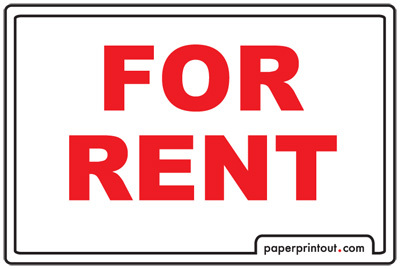 Here you'll find your basic for rent signs and templates useful for home and cottage owners. 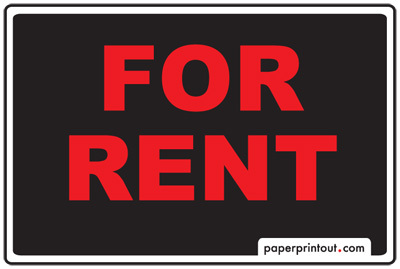 Download a highly visible free printable for rent sign to hang in the window of your rental property for passing traffic to see. We offer two basic types, one is your standard signage the other offers an area at the bottom of the for rent by owner sign for you to add the details of your rental property. Don't forget to include the price, address, terms and contact information for potential renters. Be sure to check your local rental listing to compare your property with others that are being offered. 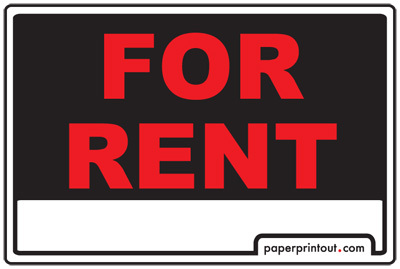 To download a free printable for rent sign template, use the link under the picture to download the pdf.